Bush Builders have over 25 years of experience in delivering beautifully finished homes in Essex and the Greater London area. If you’re looking for a builder that cares about the quality of work and creating a smooth experience, you’ve come to the right place. Our team of professional, experienced tradesman will have you relaxed knowing your home is in good hands. We specialise in house extensions, loft conversions and home refurbishments. Get in touch today to arrange a free quote and we’ll be happy to answer any questions you may have. Looking for examples of our work? Browse our photo gallery here. We’re also very proud of our independent customer review score of 4.9 out of 5! "We decided to convert two rooms into one creating a kitchen / diner knocking a wall down and blocking off two doorways. After contacting Dave through Which trusted traders we were pleased with the quoted price and time schedule. The guys that came to do the work were professional and respectful and we knew we had selected the right company to do our conversion. the work,time schedule and price quoted were spot on. We would hire Dave and his crew again and would recommend them anytime." "Hiring Dave and his team for our two-storey extension has proved to be a fantastic decision. We couldn't be happier with the final results and there is absolutely no doubt we will choose Dave for any future projects. We have had no hesitation in providing glowing references to friends/family and also to prospective customers - you could not ask for more from your builder. Dave is incredibly trustworthy, responsive and always available in person or on the phone, which was very important to us. He sets extremely high standards and really cares about the end results." Your local construction company in Essex. Bush Builders’ director, David Bush, has over 25 years’ experience in the building trade, and David prides himself on the friendly, approachable and professional service he keeps as the forefront of everything he does. We’re Which? 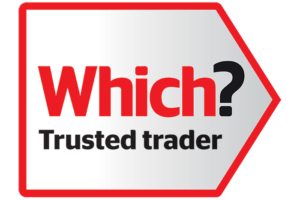 Trusted Traders and Trust Mark accredited, which means we’re rigorously examined for quality of our workmanship, finances and customer satisfaction. This provides our customers with the extra peace of mind that they’ve picked a reputable building contractor. We offer free no obligation quotes and encourage you to contact previous customers to see the quality of our work as well as how satisfied our customers are.